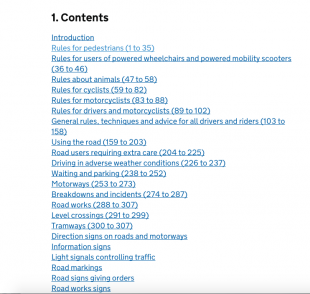 You would then need to repeat these steps for each type of report you need to run. 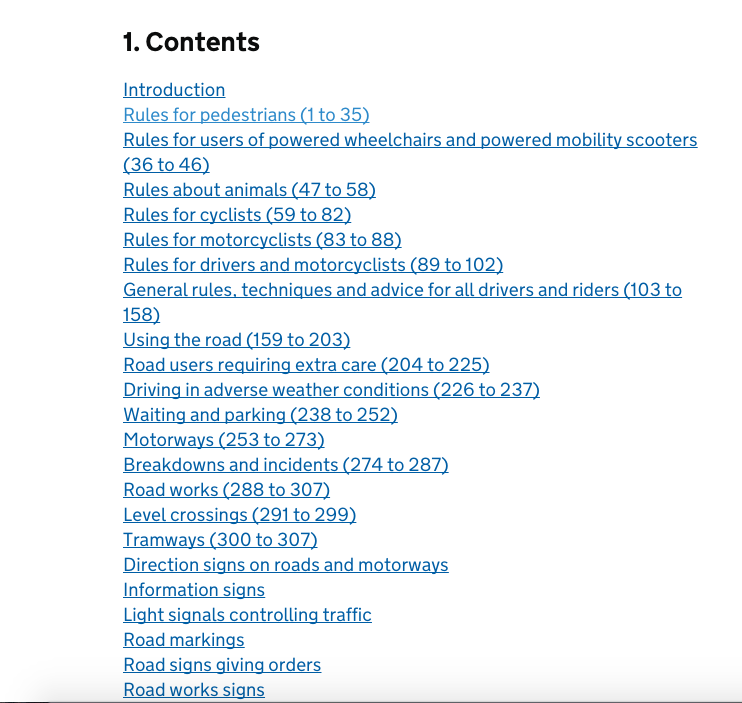 For example you may need a report on referring sites, or previous and next pages, or even the list of searches made on the page. This method is clearly not very feasible and would cause nightmares, as you’d be driven to distraction trying to keep a track of everything. We could also use the Google Analytics Reporting API with Google Sheets and build a number of regular expressions to filter the pages. However, the 256-character limit within Google’s regular expressions means that we would have to build a lot of reports and join them together. This method would also be problematic, as you would need to keep track of all the regular expressions and resulting tabs. 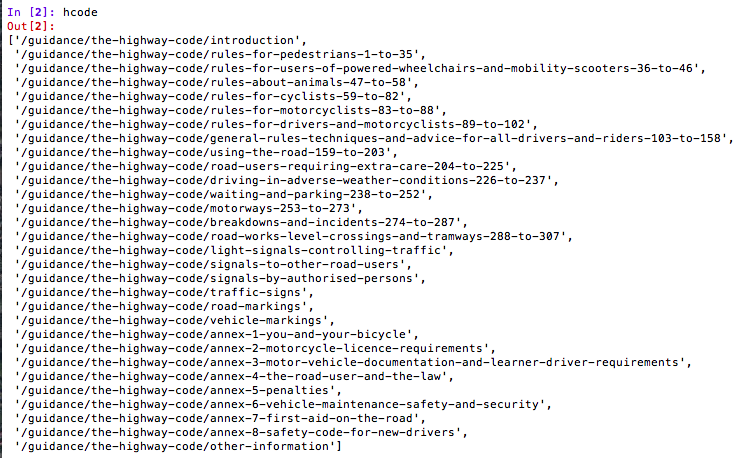 This would be further complicated by the number of report types you’re using. Four reports would mean four times as many tabs! Option Three - A better, and more exciting way! 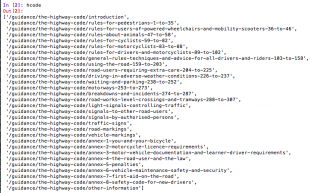 This method builds on the Vin’s blog ‘How to scrape page data using the ImportXML function in Google Sheets’. Obviously I’m going to run through the third option here! The first thing you need to do is create a project folder that is going to contain all Python files and all your project files. In order to do the following, you will need administrator rights on your computer. The first step to getting access the Google Analytics Reporting API is to install the google2pandas Python library. You can follow the instructions on how to do this here. These instructions will also show you how to set up your Google Analytics credentials. 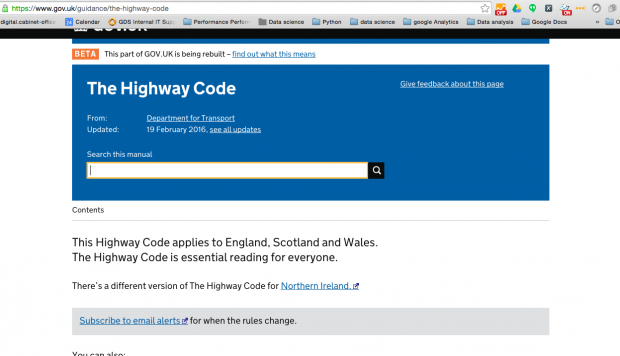 The next step is to use XPath, which allows us to get the data we need from the web page https://www.gov.uk/highway-code. I use a google chrome plug-in called XPath Helper which I find very useful as it allows me build the expressions I need. It shows me the XPath expression in one window and the results in another, making it easier to experiment with editing XPath expressions to get the data I want. If you don’t want to use the Chrome extension, you can use the method described by Vin in his recent post. If you don’t have XPath Helper, you will need to get it from the Google store. Once it is added to your Chrome browser, you then need to navigate to the page you want to scrape. 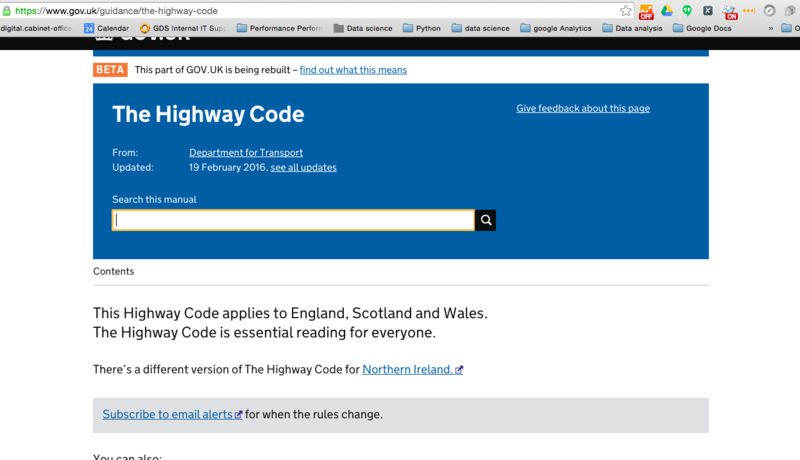 In this case, the page is https://www.gov.uk/highway-code. 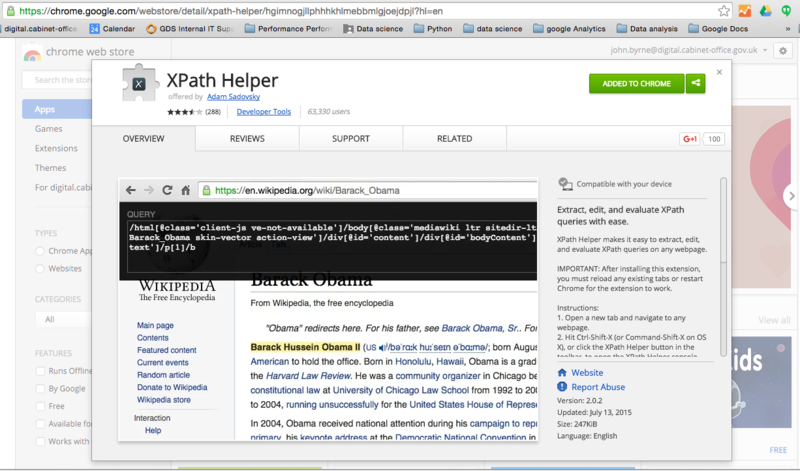 Open up XPath Helper by either click on the icon on the top right of your browser. Or hold down the Cmd Shift and X keys on a Mac, or ctrl shift X keys on a PC. This opens up two windows on the top of the page. To find the XPath of one slug, hover over the link and hold down the Shift key. This will show the xpath to the text of that one item. This result is not quite what we want, as we need the actual slug. To get the slug element, we will edit the XPath expression by removing the ‘span’ section and adding ‘/@href’. This returns one result, but we want the entire list of slugs that are on the page. We are now ready to use this expression in our code so save it in a text file for later use. Open up a new file in your favourite text editor, name it, and save it as a .py file. Then create a variable for the URL of the page we want to scrape. We now use the XPath expression to get the data we want from the page and hold the data in another variable called hcode. We can use this list to get the data we need from Google Analytics. As the script loops through the list of slugs, the results are collected in a pandas dataframe. The data in this dataframe is added to the end of a dataframe called df1. When the script have run through the list of slugs we can tidy up the data in the dataframe, do some manipulation on the data and export the data as a csv. In this case we sort the dataframe using the pageviews column, add a column showing the total number of pageviews and cumulatively sum the pageviews in another column. With this data we then can create another column that calculates the percentage of the total pageviews for a particular page. The beauty of using a script like this is that once you have this section of code working properly you can very quickly reuse the same code again, changing it to collect different metrics and dimensions. For example in the complete script I have quickly and easily reused this code to make separate dataframes for ‘next page’, ‘landing page’ and ‘searches on page’ reports. The complete script is available on Github. Using my final analysis of the data the page was updated and now looks vastly different. Please let us know your thoughts on this process in the comments below, it would also be great to hear if you or your team have done anything similar. Thanks for some really interesting approach here. We've done something similar using a combination of two commercial tools. Really useful guide. Thank you John. Last updated a few months ago.